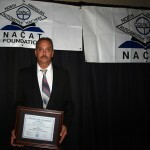 Michael Makowsky of Oakville, Conn. was named the Mitchell 1 2012 Educator of the Year during North American Council of Automotive Teachers (NACAT) conference held recently at Tyler Junior College in Tyler, Texas. 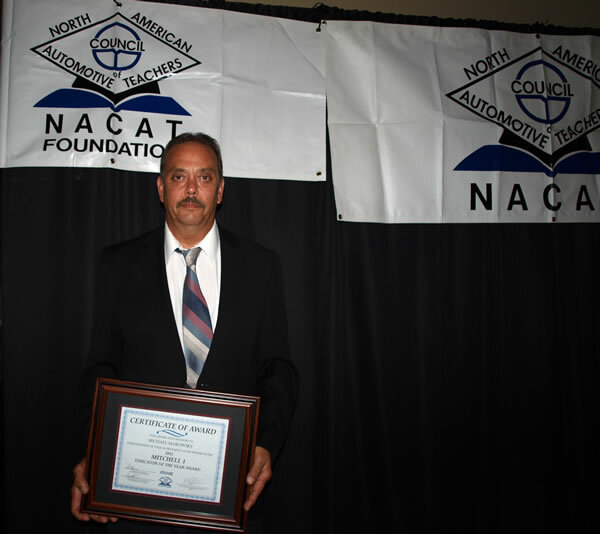 Each year, Mitchell 1 recognizes one of the nation’s top teachers for excellence in automotive repair instruction. Makowsky was presented with a check for $500 and a recognition certificate. He will also receive a one-year complimentary subscription to Mitchell 1’s ProDemand™ repair, diagnostic and maintenance information program for the school where he teaches. Makowsky has been an automotive instructor at the Porter and Chester Institute in Watertown, Conn. for six years, where he has been full-time for the past two years and was part-time for four years. His automotive career also includes experience working at various Chevrolet dealerships for 35 years. During that time, Makowsky received a tremendous amount of training from General Motors, including being certified as a GM technician. He first passed all eight ASE automotive tests in 1976. Makowsky graduated with honors from Denver Automotive and Diesel College in 1976. Selection criteria for the Mitchell 1 Educator of the Year award requires that a master automotive technician excel on all ASE automotive tests, including A1 – A8 (Engine Repair, Automatic Transmission/Transaxle, Manual Drive Train and Axles, Suspension and Steering, Brakes, Electrical/Electronic Systems, Heating and Air Conditioning, Engine Performance) and the L1 (Advanced Engine Performance Exam).